We featured the unique arcade cabinet by ThinkGeek half a year ago. Now the gadget born in Fool’s Day has been available. If you want to fully enjoy favorite iPad games, let’s go on checking iCADE arcade cabinet. As we can see from the images, there is no significant difference between the finished iCADE arcade cabinet and its design concept. The arcade cabinet designed for original iPad and iPad 2 features old-school arcade cabinet design with beautiful decors, and comes with standard joystick amd up to 8 control buttons in order that you can enjoy lots of iPad games. 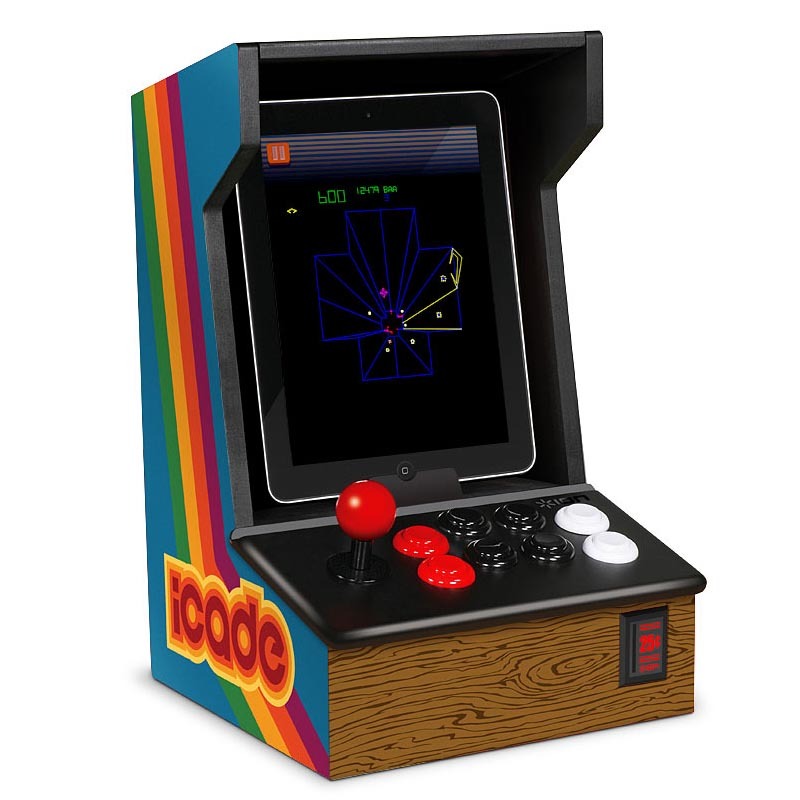 And ThinkGeek are cooperating with ION and Atari for more wonderful games, while the available 100 classic Atari games with the support of iCADE has been packed into download-free Atari Greatest Hits, 3-game pack is priced at $0.99 for in-app purchase. 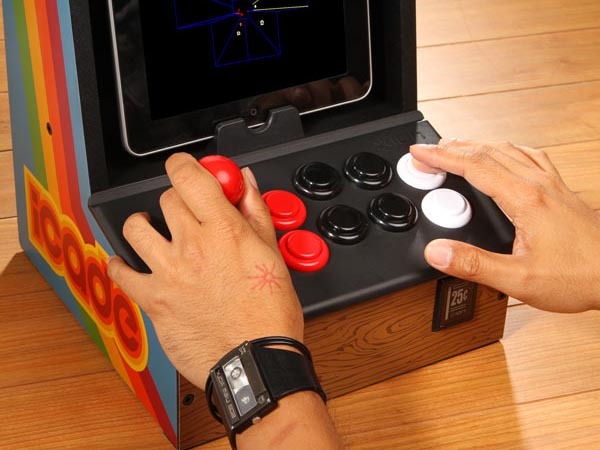 iCADE arcade cabinet uses Bluetooth to connect with your iPad, so all you need to do is to insert your iPad from the top opening, then you can start your journey of classic arcade game. iCADE arcade cabinet is priced at $99.99 USD. At present, ThinkGeek is going on the promotion of free shipping and free Joystick-It for purchase of iCADE. If you’re interested, jump to ThinkGeek for full details or check out the demo video first.